What on Earth is Pickleball? 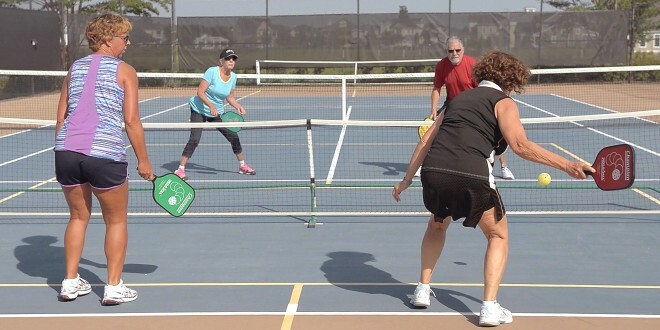 A few years ago one of our customers asked if we would have pickleball courts in our community. “HUH?” That was my internal response as I hadn’t the foggiest idea of what they were talking about. Since that day our sales team has received countless inquiries about these mysterious courts and the game that is ultimately played on them. In an attempt to not look foolish, I looked up the game and found that it’s basically a modified form of ping pong played on a hard surface. Wait! That’s a terribly simplistic summary of the game. Let’s see if I can do pickleball more justice. The game was invented in 1965 in a small town near Seattle, WA. In an attempt to spice up their children’s Summer vacation, a few parents came up with the game we now call pickleball. 50 years later it has evolved into an extremely popular sport played throughout the US and internationally. Playable in both singles and doubles, the game is played on a modified tennis court (in fact most tennis courts can easily be converted into pickleball courts). The equipment needed to play pickleball is a small paddle and a “holed” ball, which strongly resembles a large whiffle ball. The ball travels about a third of the speed of a tennis ball allowing the game to be picked up fairly quickly by any player irregardless of skill. Suitable for all ages, the low impact nature of the game allows for both enjoyment and competition without the risk of a major injury. Now that I have a better understanding of the game, I have to admit that I’m looking forward to playing a game or two at Coastal Club once the courts are complete. Probably won’t have too many “Sampras vs. Agasi” type of rivalries (or “Connors vs. Lendyl” for you die hards), but there’s nothing like a closely matched game between friends to make for some great “post-game” banter at the clubhouse. Can you believe the progress at Senators? Its hard to believe a year ago all we could do was talk about how excited we were for Senators to break ground. 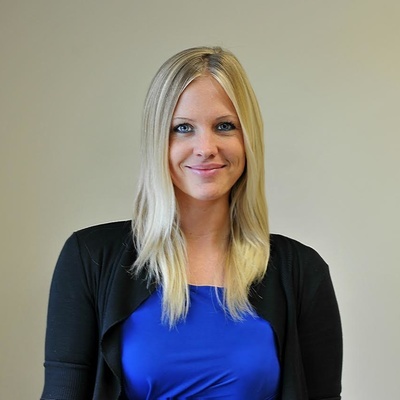 Schell Brothers has always launched communities that thrive and succeed on the happiness of it’s homeowners. Now we can experience the excitement of this outstanding community! All of Phase 1 (the “First 49”) is sold and our homeowners are enjoying the community, the clubhouse and pool are ready to be constructed, and we are releasing a new phase at the end of this month which has caused so much excitement we have decided to throw one of our legendary events. Join us on February 22nd to celebrate the formal release of the new phase. Visit the model for local food and drink starting at 11am and a Senators homeowner Happy Hour at 4pm, where you will get an opportunity to meet your future neighbors. What a fantastic way to say goodbye to the cold weather and to welcome spring. Mark your calendars and join in the celebration of this new release of homesites on February 22nd from 11am through 4pm. We will be taking reservations for lots in Phase 2 of Senators starting this Saturday, October 6th. More importantly, we have decided to keep the $30,000 pre-construction incentive in place for those buyers who secure a reservation on a Phase 2 lot on October 6th. Feel free to visit us at the Breakwater model on Saturday from 11 am – 4 pm for our Grand Opening Event to submit your reservation and see the site. You can also complete your reservation via email, fax, or phone. Contact the sales team for more details. As you may know, most of the lots in Phase 1 were sold over the last two and a half weeks (36 sales) so clearly people are recognizing the tremendous value offered by Senators as these sales numbers are far from normal. If you have been contemplating purchasing a new home, securing a reservation on a Phase 2 lot in Senators is a very low risk first move. You simply put down a $5,000 refundable deposit, which allows you to secure your spot in line for lot choice and lock-in the $30k pre-construction incentive. If you decide later that you don’t want to purchase, we simply return your $5,000 and you walk away. 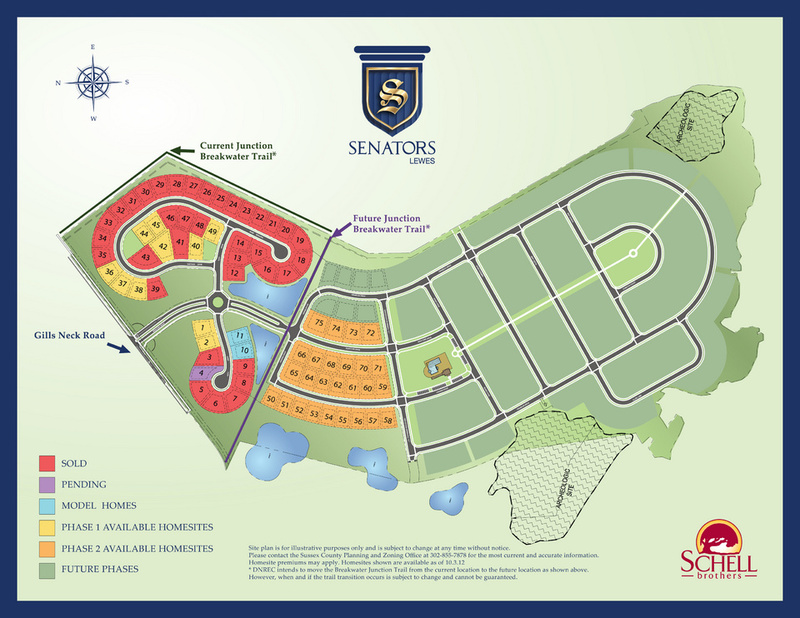 If you need to sell your home before purchasing a new home in Senators, securing a reservation in Phase 2 is a good way to go because we won’t be asking you to sign a contract for at least a couple months, giving you some time to sell your current home. You basically have nothing to lose and plenty to gain by securing a reservation. For those of you who are “on the fence”, you’re not alone. Buying a new home is a big decision and there is almost always a degree of fear and second-guessing associated with such a large decision. However, it is also scary to miss out on one of the best opportunities in your lifetime to buy a new home at a great price, in a great area, with interest rates at all-time lows. Home prices locally and nationwide have started rising again and opportunities like Senators (with current pricing/incentives) won’t be around much longer. The enormous sales success of the project speaks for itself… Senators is an amazing deal. With only 11 homesites remaining in Phase 1, the time is now! If you are interested in living at Senators, you don’t want to miss our special announcement at this event. On Saturday, October 6th, see the site and meet the team from 11am to 4pm at 16571 Kalmar St, Lewes. Then at 5pm, head over to Irish Eyes in Lewes for dinner, drinks, and music on the canal and get to know our team even more while we celebrate the opening of this brand new community. Also, enter for your chance to win our Beach Cruiser bike giveaway (no purchase necessary, but you have to be present to win). Senators is just minutes from historic downtown Lewes and only a bike ride away from the beach. This much anticipated community offers luxury single family home designs and a full clubhouse, featuring a fitness center and outdoor pool. We started taking contracts yesterday for Senators and the first 49 home sites are selling fast! 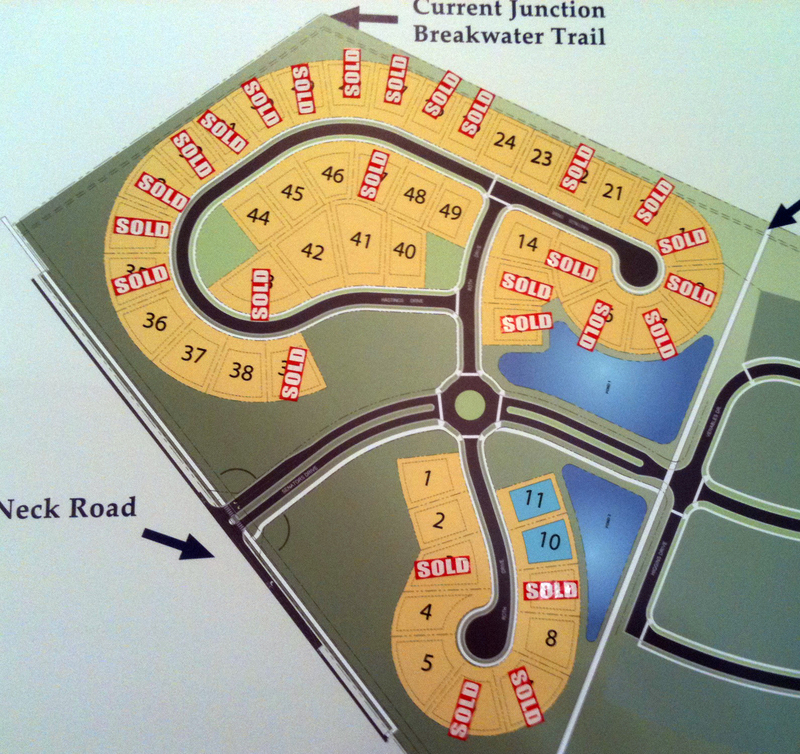 Check out the latest snapshot below of the site plan showing the 27 first day sales at our newest community. If you are interested in purchasing here, don’t wait! We are now taking reservations at Senators Lewes. We’ve been accepting reservations for two days and have received 27 so far (some of you reading this are in this group). Based upon our conversations, it appears the vast majority of these reservation holders will be purchasing a home at Senators when we start taking contracts on September 15th. Because of the abnormally high demand for this project, we will not be accepting contingent contracts in this community prior to October 6th and may not accept contingent contracts at all for the first phase (49 lots). We are not trying to be unreasonable but rather trying to avoid disappointing contingent buyers because in all likelihood, a contingent buyer will end up losing their lot choice to a firm purchaser. So, we are advising buyers who must sell their current home before buying a home at Senators to wait until they get a contract on their existing home before contracting on a home at Senators. That being said, there is no risk in securing a simple one page reservation at Senators as the $5,000 reservation deposit is fully refundable for any reason. So, if you think you may want to purchase a home at Senators, we encourage you to secure a reservation as soon as possible. A reservation will hold your spot in line and allow you to purchase a home at Senators before we open sales to the general public on October 6th. At the pace we are receiving reservations, we are expecting to sell out of Phase One lots very quickly and raise prices one or more times in the process. Therefore, the best way to increase your chances of getting the best price and the best lot is to make a reservation. For those of you who can’t visit the sales center at Breakwater, we can complete your reservation over the phone (302-645-1259) or via email and you will just have to mail us the $5,000 check. We will stop taking reservations on September 14th so you must complete the registration form and deliver us your $5,000 check prior to September 15th in order to be a part of the first group of Senators homeowners. We have never launched a community with this much demand in the history of our company. On September 1st, 2012 we will begin taking reservations. We will require a $5,000 deposit and a one-page reservation document. The reservation will secure your spot in line for lot choice and contract # (which may affect what incentives you are offered). Your reservation # will be determined by when we received your web inquiry in relation to all other web inquiries who decided to secure a reservation. The reservation deposit is fully refundable should you decide against a purchase. On September 15th we will start accepting Purchase Agreements for all reservation holders. We will hold appointments for purchase beginning at 9AM on the 15th- appointment times will be set based on Reservation #. Please contact me directly for our requirements for purchase but essentially we will require a 10% initial deposit (based on the purchase price). On October 6th we will host a sales launch event. Fountains are a favorite sight at Breakwater. The fountains are on in the Breakwater ponds! This can only mean one thing: WARM WEATHER! Although it’s been a relatively mild winter…it’s still been winter. You know for sure spring and summer are coming when the fountains are turned on in our community ponds. Daylight savings is less than a week away, days will be longer, energy levels will be up, and, as always, the beach will be the beach! Nov. 28th, 2011 | Comments Off on Are You Ready For Some Football? What would fall be without a little football? 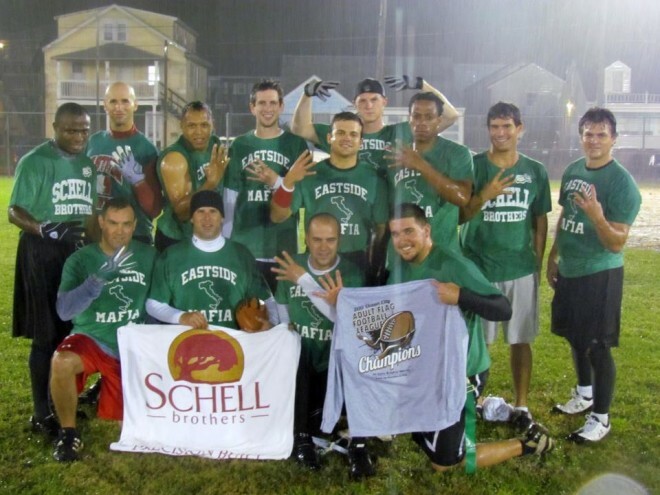 In addition to following the college and pro games, Schell Brothers sponsors our own flag football team. We’ve had a lot of fun and are proud to say that 2011 marked our fourth straight year of winning our league championship. As a result of our team’s success, we have been recognized by the USFFA (U.S. Flag Football Association) as being qualified for the National Tournament in Orlando, Florida! So now we’ll represent Schell Brothers on the national level and see what we’re really made of! Are you playing on a flag football team? If so, maybe we’ll see you in the Sunshine State! Either way, stay tuned and we’ll keep you posted after the national tournament on January 13th. Posted in Breakwater | Tagged flag football | Comments Off on Are You Ready For Some Football? Two-For-One Grand Opening at Breakwater on October 15th! Oct. 3rd, 2011 | Comments Off on Two-For-One Grand Opening at Breakwater on October 15th! You’ve attended grand openings before so you know what to expect, right? Well, this one will be double the fun with TWO spectacular homes to tour at Breakwater. On Saturday, October 15th from 11:00 to 4:00, you’ll have the opportunity to explore our newest Courtyard Series home – the Kingfisher – along with the Salt Meadow, our long-anticipated Twin Home. Your Kingfisher tour will provide you with a unique opportunity to learn about Schellter™ Advanced Building Science first-hand. Exploring the home will be like visiting a gallery where you can see, hear, and feel the impact of high performance features. Learn even more by walking through our homes in various stages of construction to get the behind the scenes view of Schellter™ Advanced Building Science. We hope you’ll stop by for a tour or just to enjoy some of the great food, beverages, fun, and surprises that make Schell Brothers events so special. It’s the perfect way to gear up for the Jazz Festival in Rehoboth that weekend! OK, now, be honest – when you saw “two-for-one” in the headline, did you think we were offering two homes for the price of one? Well, not quite, but we promise some special grand opening incentives that will have you smiling! And, how about the latest interest rates?! These low rates are sure to change in the future but one thing’s for sure: Breakwater is one-of-a-kind and homesites are dwindling. There’s never been a better time to come out and meet your future neighbors. See you soon! Posted in Breakwater | Tagged activities, courtyard series, Delaware homes for sale, energy efficiency, events, grand opening, high performance, incentives, Jazz Festival, Lewes, new models, Schellter | Comments Off on Two-For-One Grand Opening at Breakwater on October 15th!